With a degree in Marketing from SUU, you’ll develop your skills while learning how to manage the entire marketing process – from research and market segmentation to product design, pricing, promotion, personal selling, and distribution. Our Marketing program prepares students for rewarding careers in a number of professions including product and brand management, sales and sales management, public relations, advertising and promotions, marketing research, and marketing logistics. 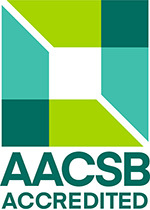 The Southern Utah University Dixie L. Leavitt School of Business is accredited by AACSB, the top accrediting organization for business programs in the world. This puts SUU in the same category with other well-known business schools throughout the nation and world. The small class sizes offered at SUU allow marketing students to create strong mentorships with talented professors and open up opportunities for study abroad, internships, and jobs in the field of business or marketing. Why Choose SUU for Marketing Studies? Students who study marketing at Southern Utah University not only learn traditional approaches to marketing, but also cutting-edge digital marketing skills including online advertising, social media, search engine optimization and other Internet-based marketing approaches. Southern Utah University’s Leavitt School of Business, including the marketing bachelor’s degree program, is accredited by AACSB, the top international accrediting organization for business programs. SUU’s Leavitt School of Business has partnerships with 15 universities throughout the world. Specifically, marketing students have the chance to study luxury-brand marketing in Paris. Marketing students at SUU participate in many hands-on projects gaining real world marketing and business experience. Many students complete internships for credit or work in marketing jobs on-campus or in the community. Advisors are available for undergraduate and graduate students, career coaching, and incoming students.